Make some noise for Godot 3.1! 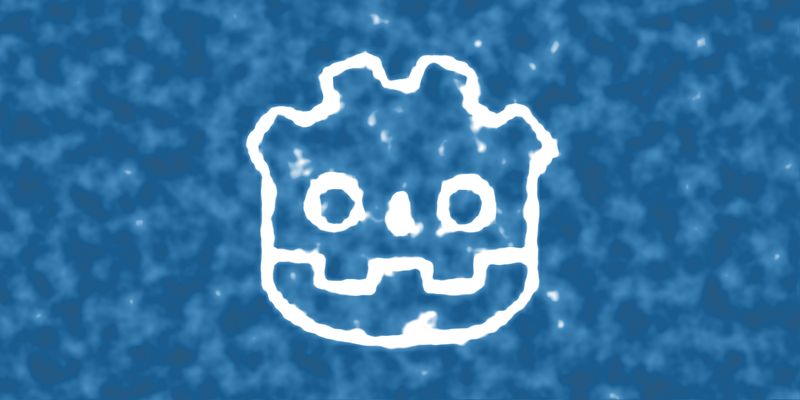 Simplex noise generation has just landed in Godot 3.1! This noise generation algorithm, originally invented by Ken Perlin, is fast and has really good results but it is still encumbered by some patents. That's why Godot will use OpenSimplex noise, a public domain and unencumbered alternative. Simplex noise, like any other type of noise, is especially useful in two areas of game development: procedural generation and visual effects. Generating procedural content in videogames can be challenging, completely random structures tend to turn out as a complete mess and therefore unusable. That's why the "controlled randomness" of simplex noise becomes really useful. If you want to learn more about how fractal noise works and some other terrain generation techniques I strongly recommend this article by Red Blob Games. A Godot voxel world prototype by Zylann, using his own OpenSimplex module which can now be replaced by the built-in implementation. Example of a simple Terraria-like world generation using Simplex noise. Edit: After this article was published, the SimplexNoise node was renamed to OpenSimplexNoise to be more explicit on the algorithm used. The examples below have been updated accordingly. For more information about OpenSimplexNoise and what is the meaning of each parameter, don't forget to check out the documentation. If you only need access to a noise texture for visual effects, the new NoiseTexture resource type is your best bet. It allows you to specify a noise generator and a texture. The texture data will be automatically filled with noise, using the parameters of the generator. You can also enable the use of seamless noise (only works with square textures) and enable outputting the noise data as a normal map.